DEmergency stop switch to electronically shut down the steam generator. 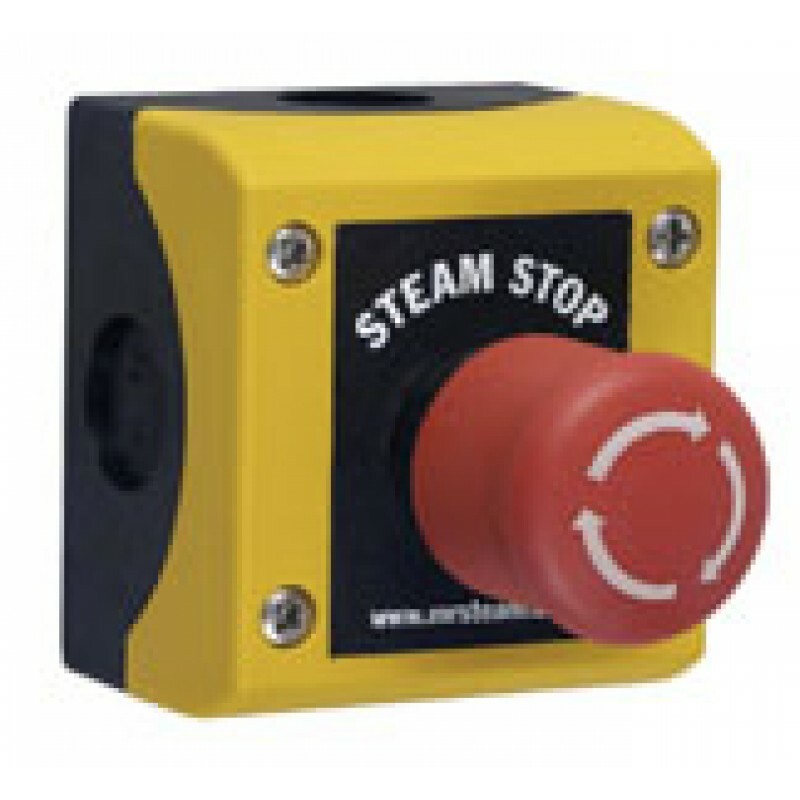 Multiple Steam Stop switches can be used with one steam generator. Water-resistant, IP-69K rating suitable for use inside or outside the steam room.